Why do beer steins have lids? Beer can be enjoyed from different containers. There are Pilsgläser, Altbiertulpen, Weißbiergläser, Kölner Stangen, and Bierseidel. But those who like it traditional and special will drink their beer from a beer stein. The beer stein is not only the ancestor of all beer glasses, it is a symbol of Bavarian coziness. Especially Oktoberfest fans and real Bavarians appreciate the enjoyment of beer from a traditional beer mug. 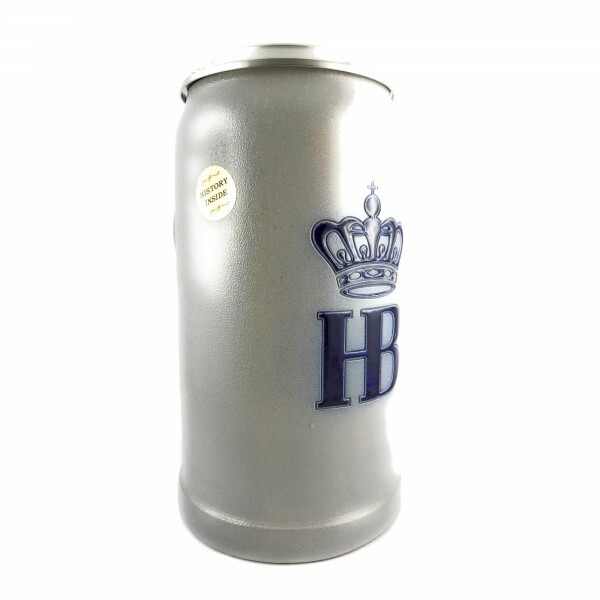 Whether a stone stein, a glass stein or a tin(pewter) stein - the beer stein has become a must. Beer steins are often artfully decorated with ornaments, paintings or coats of arms, making beer drinking a feast for the eyes. A special feature for many of the beer mugs is the hinged lid, which is moved with the help of a lid lifter, which also functions as a thumb rest. Without the lid, a real beer mug is incomplete. The lids They are available in different shapes and sizes, from simple flat lids without ornaments to elaborately decorated lids. Possible decorations consist, for example, of handcrafted motifs made of pewter or an engraving. Sometimes wonderful pewter figures are also incorporated. Sunshine, blue skies and the desire to socialise? Especially in summer at home in the garden or in one of the numerous beer gardens, countless visitors come together. Tables under shady trees invite you to linger and what could be more comfortable than sitting in the beer garden on a warm summer evening and enjoying your beer with friends. But especially if you drink your beer outside, there is the danger that insects fly into the stein or leaves fall into it. For such cases, beer mugs with lids are the best solution, because the lids also allow undisturbed beer enjoyment outdoors. They give annoying insects no chance to eat and protect the popular beer from leaves and other foreign bodies that do not belong in the beer. In addition, beer lids reduce the heat exchange and thus keep the beer cool for longer. Today the beer stein lid protects the drink from falling leaves and flying insects. Its original meaning was much more important. The origin of the lid goes back to the plague epidemics in the 14th century, when millions of people died of black plague. After the plague, Central Europe was swarming with deadly shoals of mosquitoes. That is why in the 16th century there was a decree that all food and drink containers should be covered to protect them from dangerous insects. This is how the beer mug lid was created. Even after the plague and dangerous mosquito swarms were a thing of the past, the lid remained a special detail on the massive mugs. The poorer sections of the population used felt lids in earlier times. These felt coasters were used both as coasters and to cover beer. However, felt has the decisive disadvantage that it quickly becomes moist and is a good breeding ground for bacteria. The rich therefore preferred beer coasters made of tin (pewter) or silver. The lids on the beer mug therefore not only had a practical use, they were also a kind of status symbol of the upper class. The material of the lid was used to determine the level of the beer drinker. Another wonderful side effect only became known sometime after the laws were enacted. Especially the upper class, who also use the steins and lids as a kind of status symbol, came to the enjoyment of tin (pewter) lids. In combination with the stone stein0, these lids preserve the cold and freshness of the drink for much much longer. In former times also many waiters had the problem that they could not see whether the guest had still something to drink or not. The stein with a lid was a great solution. The lid was simply opened and left open on the table or counter. So everyone knew the guest was thirsty and would like another drink or refill.